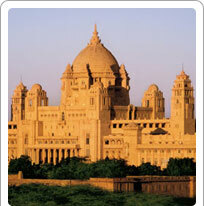 Rajasthan is synonymous with royalty. The world over, the Maharajas and their Queens have been known for their grand palaces, lavish lifestyles and hospitality. Dotting the entire state, most of these palaces have now been converted into luxurious yet affordable Heritage Hotels. Several of them even have the owners living on the property itself and managing the hotel. A stay at any of the heritage hotels is an experience by itself. From the world famous Lake Palace of Udaipur, the beautiful Devi Garh to the painted Havelis of Shekawati and Shiv Niwas Palace at Udaipur, there is a heritage hotel to suit every taste and budget and tempt the most jaded of tourist palates. The heritage hotels in Rajasthan are simply in a class of their own. The Heritage Hotel properties all set global standards of luxury and deliver the famed Indian standard of hospitality and service. Meticulously planned and elegantly furnished, the Heritage Hotels make sure that as an esteemed guest, you feel like a royal and your every whim is catered to. Choose a stay in a Heritage Hotel of Rajasthan now and prepare for the holiday of a lifetime.